Ra was the king of the deities and the father of all creation. He was the patron of the sun, heaven, kingship, power, and light. He was not only the deity who governed the actions of the sun, he could also be the physical sun itself, as well as the day. While he possessed many literal forms, Ra also expressed himself differently when combined with other deities. When associated with Amun, one of the great unknowable creator deities, he became Amun-Ra and represented the raw, universal power of the sun. Combined with Horus he became Ra-Horakhty or “Ra-Horus in the horizon.” Horus represented Ra in human form as the Pharaoh in Egypt. Ra could also take the guise of his fierce daughter, Sekhmet or his loving daughter, Hathor. He moved the sun across the sky as the beetle Khepri and brought it back through the underworld on a mythical barge. The Egyptians were an agricultural society living in a desert, so not surprisingly, the sun – and thereby Ra – was an integral component of their cosmos, guiding their thoughts and actions. 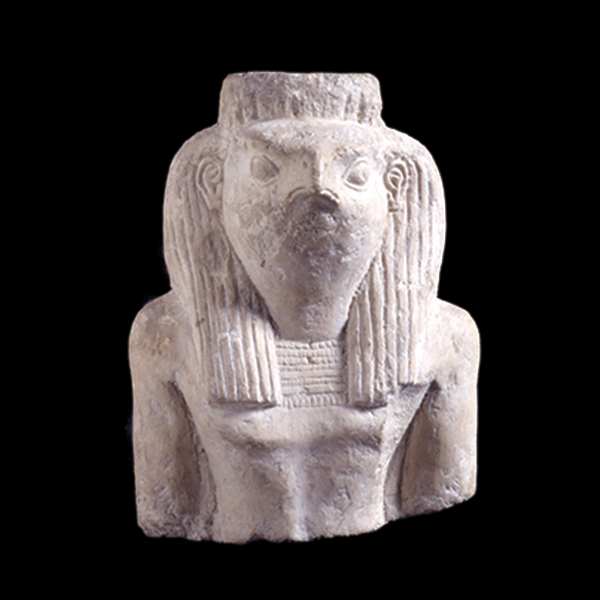 Image: RC 2063 Ra-Horakhty, Rosicrucian Egyptian Museum.